Does your kiddo have a knack for playing pranks on you around the house? Has she been keeping you up late at night to the point where you feel like you’re wasting away due to a lack of rest? Do you keep finding pixie dust everywhere? Well, now we are convinced. You don’t have a child, but rather a little fairy running around your home. What a rare phenomenon! Well, it's probably time you start dressing your spunky little sprite properly. You’ll need a colorful tutu for your youngster to fly around town in. Speaking of flying, you should grab her a beautiful pair of wings to wear until her own come in. Lastly, she’ll need a wand to wave around. 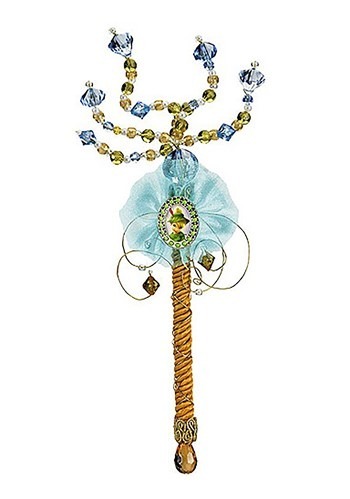 Take a look at this Tinker Bell Wand. Tink was and still is one of the most famous fairies ever. So your little girl will be on the way to being an amazing fairy when her new look is complete with this iconic wand!